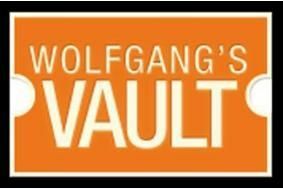 Wolfgang's Vault concerts now available for free trial on Sonos | What Hi-Fi? The 30-day trial gives users access to more than 3500 concerts from the last 50 years, without having to leave their home. Using any Sonos Controller, owners can find and play 40,000 songs, browsing by artist, genre and catalogue, or searching by artists, concerts and tracks. "Our music-loving customers are in for a real treat because they can now enjoy thousands of amazing concerts from the comfort of their living room or any other room in the house," says Phil Abram, President of Sonos. Sonos owners with a premium membership can register for the free trial here. Once registered, all you need to do is use the Sonos Controller to go to the Music Menu, touch More Music and select Wolfgang's Vault.